Schools have even more opportunities to participate in fantastic residential opportunities through HD Sportsworld. The ESFA are proud to once again be supporting HD Sportsworld in their campaigns to provide high quality football tournaments to schools each Summer. HD Sportsworld have a wealth of knowledge and expertise with over 30 years’ experience of delivering first class tournaments, courses, and residential camps. This partnership continues to work well with both the ESFA and HD Sportsworld being committed to helping school children develop their skills and increase their enjoyment of football. HD Sportsworld have now also added a performing arts element to camps too, to further the opportunities for those children involved. 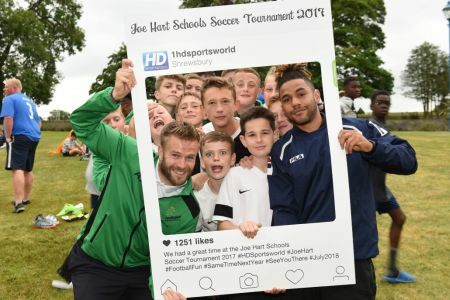 For the last 10 years HD Sportsworld have delivered the Joe Hart Schools Soccer Tournament and July 2017 saw over 300 young people from all over the country arrive at the prestigious Shrewsbury School in Shropshire for four days of football, football and more football! 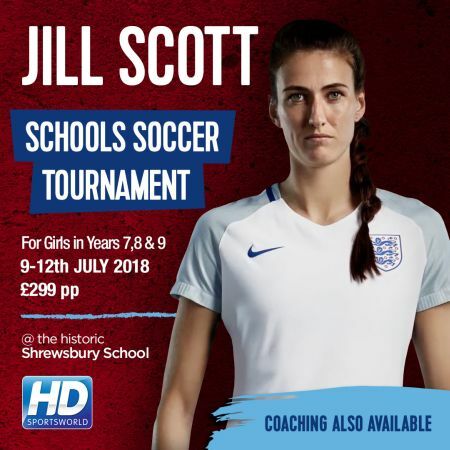 Due to popular demand this year they are launching a girls’ tournament in partnership with Manchester City and England player Jill Scott and a Performing Arts residential with workshops delivered by West End performers. If you are interested in how your school can participate any of the fantastic experiences being offered this season, then please contact HD Sportsworld directly and they will be able to send you further information. 19th :: Match Photos? 353 Photography Have it Covered! 10th :: Join the ESFA – Have You Got What It Takes?